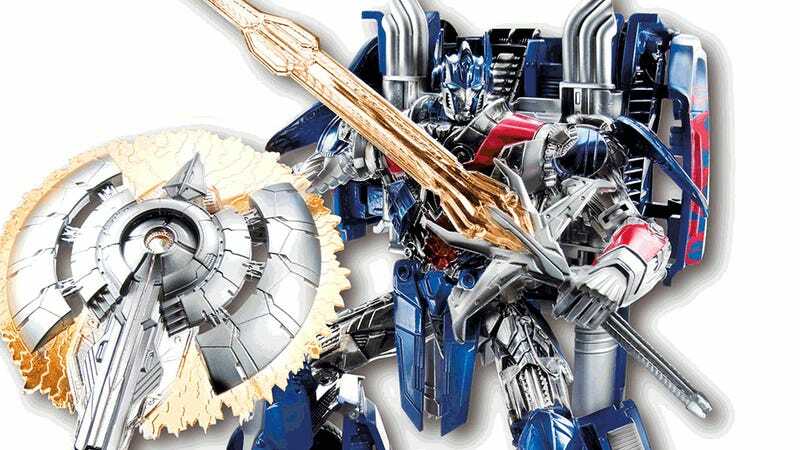 While everyone was busy politely arguing over the teaser trailer for Transformers 4: Dino Riders, Hasbro put the first toy for the fourth film in the franchise up for sale. 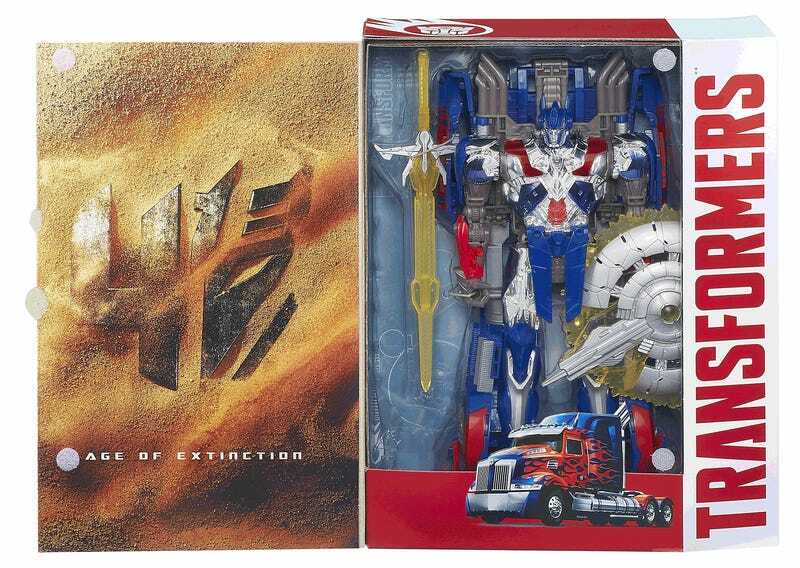 What do you think of Transformers: Age of Extinction First Edition Optimus Prime? This version of the Autobot leader, available in limited quantity through Amazon for $59.99, continues the movie figures' proud tradition of a robot with a truck cab backpack. His skin is crammed with tiny details, which helps draw attention away from the obvious truck bits. I'm a little put off by the fact that the figure has alien insect feet paired with sculpted humanoid sword-holding hands. If we're going to evolve human features we should really commit from head-to-toe. The movie bots have shown amazing versatility as far as the items they can transform into, so why not just reformat their bodies into something a bit less alien? I tell you why. Pride. Hubris. Trucks. That's fine vehicle form, really — there's no looking at that and thinking it's anything other than a truck with a blazing shield strapped on the back. 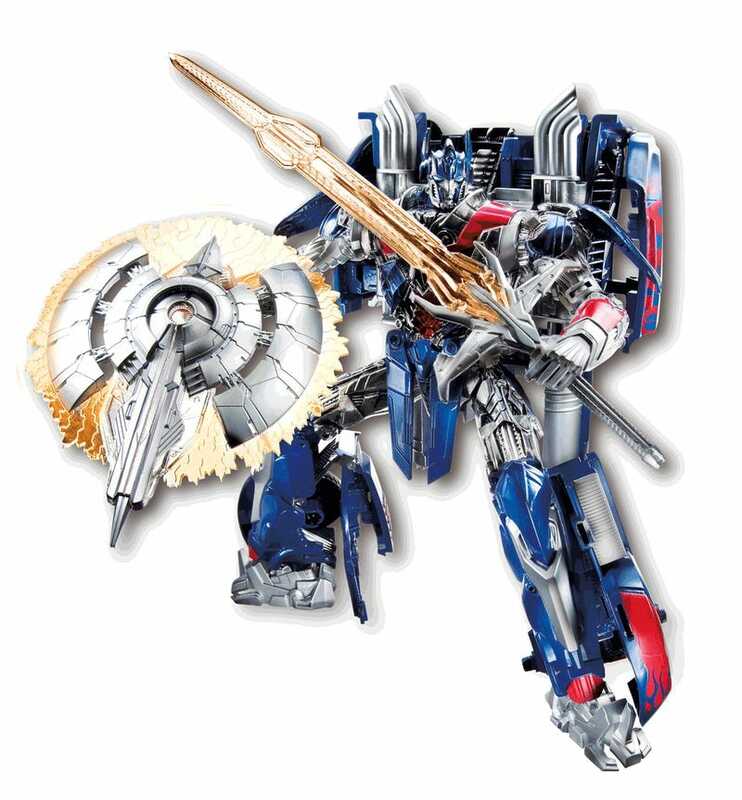 I like to poke fun at the Michael Bay movies, but I've grown to appreciation this form of Optimus Prime, even if I haven't enjoyed the films and tend to avoid the toys. 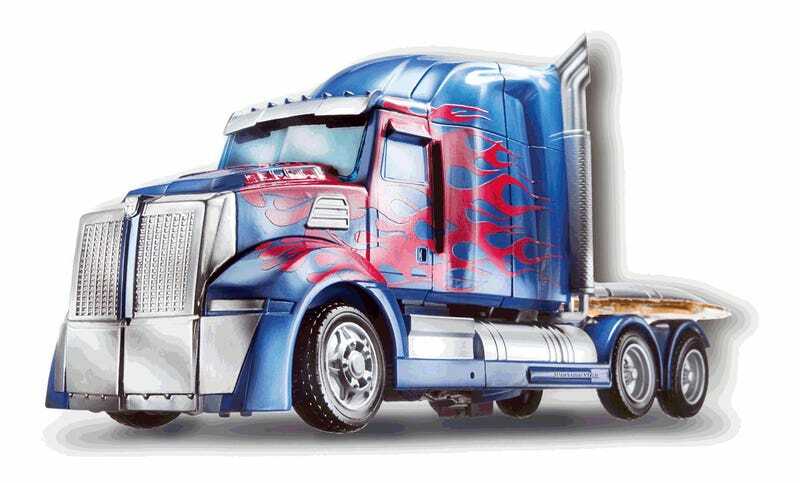 To an entire generation, this is sort of what Optimus Prime looks like, if you squint realy hard. 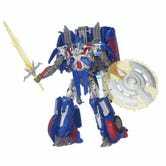 Transformers: Age of Extinction First Edition Optimus Prime is a figure no dedicated Transformers collector should miss. That's because Hasbro decided this special edition is number 14 of the "Thrilling 30" line of 30th anniversary celebration 'bots. Should I bite the bullet and buy, or give up my dream of collecting all 30 figures?